A thrilling read that kept me on the edge of my seat. The secondary characters like Jock and Seth stole the show. Definitely want to continue this series.Overall rating: 4.5/5.0 stars.Reviewed for Affaire de Coeur Magazine. http://affairedecoeur.com. My review of Hide Away is now up on Fresh Fiction! 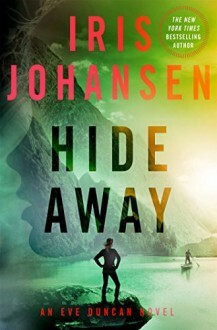 "HIDE AWAY is perfect for anyone looking for a suspenseful thriller with a dash of romance" Read the whole review here! My review of Hide Away is now up on Fresh Fiction!